Could This Be the Year for a Hefty Tobacco Tax Increase in Kentucky? In a state where tobacco has a rich history, a movement is underway to increase Kentucky’s tax on cigarettes. Supporters say it would reduce smoking rates and save lives while opponents argue a tax hike will hurt farmers and the economy. But with the state facing billions of dollars in pension obligations, lawmakers this legislative session appear to have more of an appetite for increasing the cigarette tax. 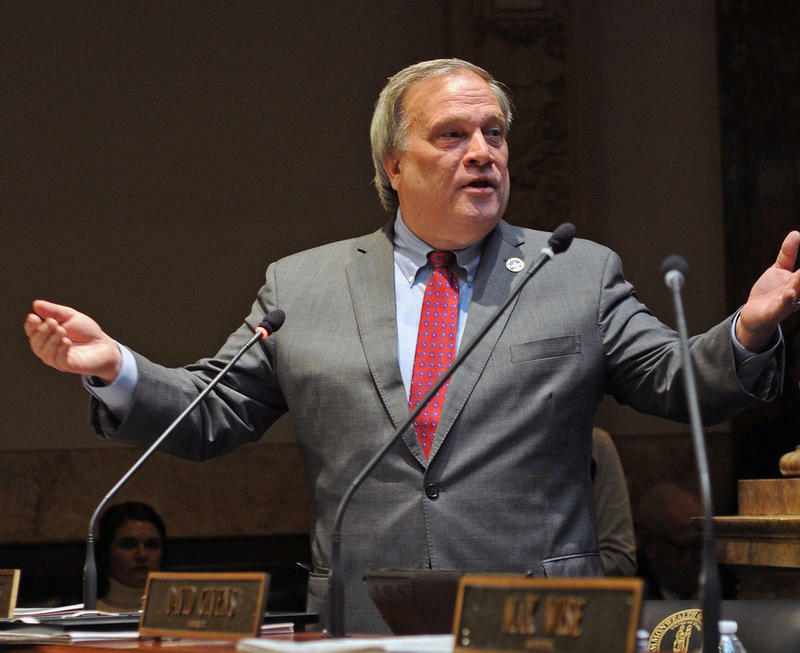 The Foundation for a Healthy Kentucky spent six figures just in the first month of this year’s legislative session trying to convince lawmakers to increase Kentucky’s cigarette tax by one dollar. The $100, 240 spent by the health advocacy group wasn’t much more than the $95, 218 spent by tobacco companies. Foundation CEO Ben Chandler says pouring a massive amount of money into lobbying was necessary to counter not just Big Tobacco, but the retail and farming industries. "What you're seeing in terms of spending in the legislative session is not the whole story," Chandler told WKU Public Radio. You've got campaign contributions from these other groups, you've got a lot of other ways in which attempts are made to influence legislators." Aside from a heavy lobbying presence in Frankfort, The Foundation for a Healthy Kentucky launched a nearly $100, 000 advertising campaign last week that includes television and billboards. Chandler says while he’s encouraged that the budget by the Kentucky House included a 50 cent increase in the cigarette tax, it isn’t enough to have a real impact on health. Chandler says tobacco companies undermine any health benefit from a tax hike of less than a dollar by offsetting the price increase with coupons. Then, they gradually increase prices to make up for lost profits. Opponents of the tax hike argue it would unfairly burden the nearly 48 percent of low-income Kentuckians who smoke, but Chandler says that’s the point. "If it gets people to quit smoking, those low-income people will have a whole lot more disposable income. I think that's the obvious result of this," stated Chandler. "Now, it they continue to smoke, it may hurt them financially, but the biggest hurt they're going to have is health wise." 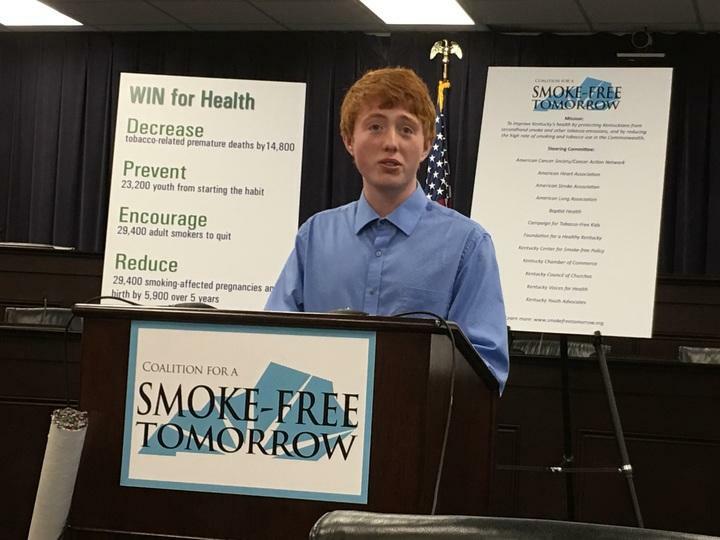 The idea of hiking the cigarette tax has drawn expected opposition from the tobacco industry, but there's also been pushback from the grassroots level. Christian County tobacco farmer Robert Gray went to Frankfort last month to ask lawmakers not to approve the tax increase, which he says, will hurt family farms. 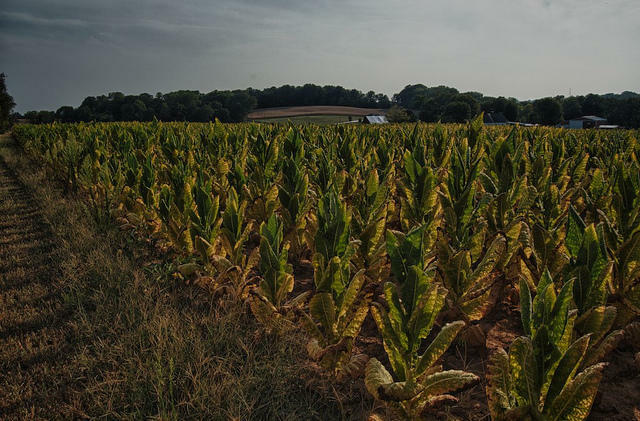 "Tobacco has always been a stable crop," Gray testified. "Corn and wheat are sometimes profitable, sometimes not, and that's helped numerous farm families in the state of Kentucky." The tax hike would push the cost of cigarettes in Kentucky above every surrounding state but Ohio. Growers fear that would reduce demand for their product, and retailers, particularly in border areas, fear that would drive customers across state lines to purchase cigarettes. Nicholas Heidenwright owns a tobacco store in Henderson. He told Commonwealth Radio Reports that the proposed tax increase would be a severe blow to his business. "Almost every single one of our customers are from out of state coming from all the way up in Bloomington, Indiana to the middle of Illinois," explained Heidenwright. "If this tax increase passed, we'd have to shutter the doors. We employ 21 employees and we'd have to put them all out on the road." Raising the tax by one dollar a pack would bring Kentucky's cigarette tax to $1.60, much higher than the 99 cent tax in Indiana and 62 cents in Tennessee. 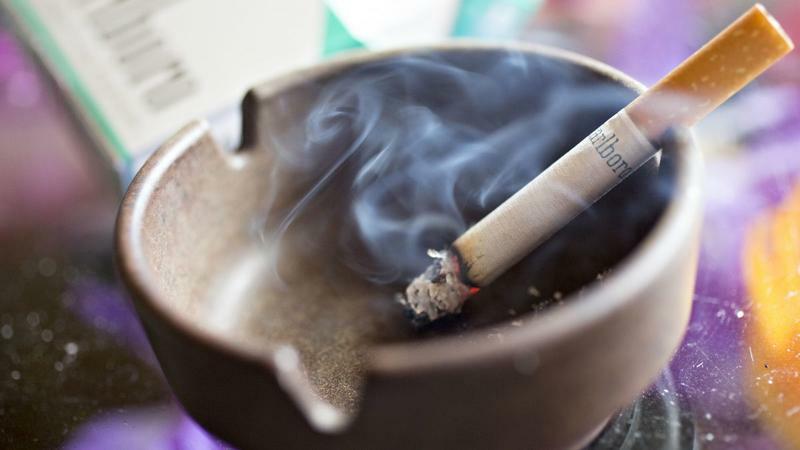 Supporters say a one dollar tax increase could generate about $266 million for the state each year, money that could go toward Kentucky’s massive pension debt, but tobacco companies claim states that have raised cigarette taxes have failed to meet revenue projections. 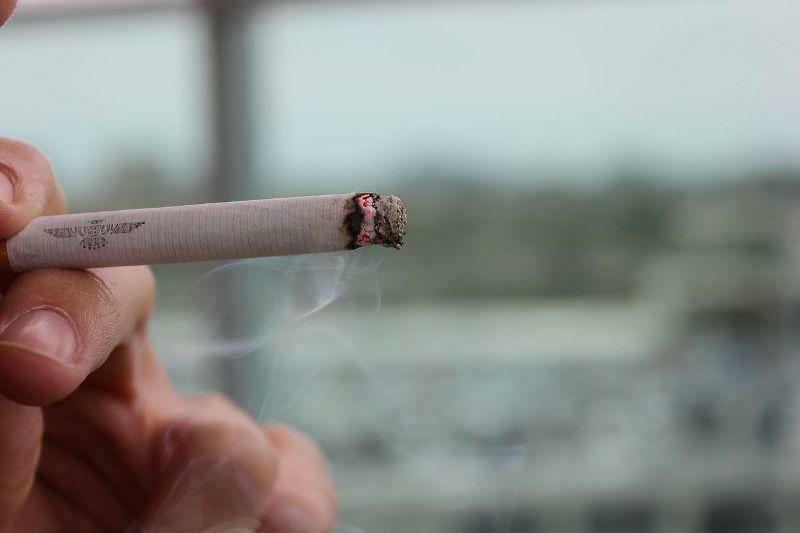 Increasing the tax on cigarettes is something still be debated in the Kentucky legislature. While the House budget boosted the tax by 50 cents, health advocates are hoping Senate lawmakers will be more receptive to the one dollar tax. Increasing taxes on one of the state’s signature industries has never been popular. Kentucky has had only two cigarette tax increases in the past couple of decades. Nicotine will now be at the center of the Food and Drug Administration’s effort to regulate tobacco, the agency said, announcing that it will aim to lower the amount of nicotine in cigarettes to a level that will help curb addiction. It would be the first time in the agency’s history that it has sought to regulate the amount of nicotine in cigarettes. Kentucky's tobacco industry has undergone major changes in the past few decades from the way it's grown and harvested, to the way it's sold and marketed. WKU folklore professor Dr. Ann Ferrell spent the past eight years researching what the changes have meant to tobacco families and what the future holds in her new book "Burley: Kentucky Tobacco in a New Century". Heavy rains throughout July have hit Kentucky tobacco hard this season. University of Kentucky's Andy Bailey says the Kentucky Tennessee Dark Fired commodity holds a unique position in the world, responsible for nearly 90 percent of overall production and this month’s rains could affect growers yields drastically. “We've got areas depending on the soil advantage class and how much rain it had gotten that losses may be from 5 to 10 percent up to 50 to 60 percent," said Bailey. The kind of rain affecting this year’s crop is unlike anything Bailey has seen in the last 14 years. “Tobacco is a more tropical crop that doesn't like saturated soil conditions," said Bailey. "So we've got areas depending on the soil advantage class and how much rain it had gotten that losses may be from 5 to 10 percent up to 50 to 60 percent." The leader of the state Senate is making no promises on whether proposals to increase the cigarette tax and create a tax on pain pills will be considered in his chamber. On Thursday, the Republican-led state House of Representatives passed a revenue bill that would increase the cigarette tax by 50 cents per pack and create a 25-cent tax that distributors would have to pay for each dose of opioid pills sold in Kentucky. Senate President Robert Stivers, a Republican from Manchester, said he wants to have more analysis on the issue before weighing in.